Hi, you can take Ktm from Tbs to mid valley, then take Rapidkl u63, u67, u76, metrobus 10,13 to Sunway Pyramid. Hi! How can I go sunway pyramind from desa park city ? There is no bus to Desa Park City, the nearest bus stop is at Jalan Lang Kuning. From Jalan Lang Kuning you can take RapidKL U11 to Masjid Jamek, then you can take LRT to Kelana Jaya. From Kelana Jaya, take U623 to Sunway Pyramid. 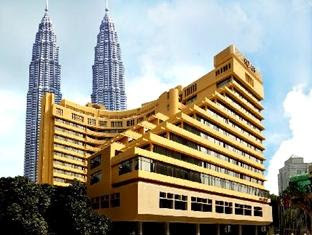 How to go to Datamicron Systems Sdn Bhd near Aquaria KLCC from KL Sentral?? Hi, you can take LRT to KLCC and walk there. How to go to Suite 1-1, 1st Floor, Bio-X Centre, Persiaran Cyberpoint Selatan, 63000 Cyberjaya, Selangor from Klang Bus Terminal?? How long does it take to arrive?? Thanks. How to go to Unit 7.03, Menara Trend, Intan Mellinium Square,No. 68, Jalan Batai Laut 4, Bukit Raja,41300 Klang, from klang bus terminal OR KTM Batu 3 station?? Him there is no bus stop near that area, I think you need to take Uber to go there. Hi, I would like to know how to go to solaris mont kiara from summit usj and from solaris to summit? How much will be the rate and how long will it take to reach the destination? How to go to Dinamik Vision Sdn Bhd at Jalan Tanjung Rhu 30/188, Shah Alam from Klang Bus Terminal?? Hi, this require you to walk very far, you can first take Seranas Bus 702 to Sri Muda, then take T756 to Kota Kemuning, stop at Persiaran Anggerik Elia, and walk to Dinamik Vision. How to go to YYC & Co at No. 38B, Lorong Gelugor, Off Jalan Persiaran Sultan Ibrahim, 41300 Klang from Klang Bus Terminal?? Hi, they are within walking distance. How to go to HP & Co Management Services at No. 183A, Jalan Kapar, 41400, Selangor, 41400 Klang, Malaysia from Klang Bus Terminal? Hi, you can take Wawasan Sutera 740. How to go to Esthetics International Group Berhad at Exit Jln Astaka U8/88, Seksyen U8, 40150 S.Alam from Klang Bus Terminal? You can take 708 from Klang to PKNS SHah Alam, then take 754 to Bukit Jelutong Firestation, then you need to walk a long way into Jalan Astaka U8/88. How can I go to Gamuda walk Kota Kemuning from Klang bus station ? 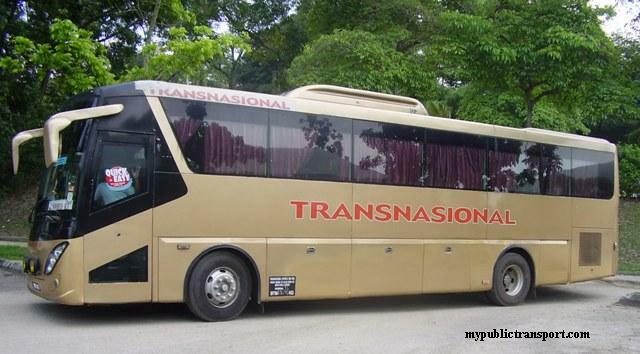 Hi, you can take Seranas 702 from Klang to Sri Muda, then take T756 to Gamuda Walk. How long does it takes to go to lrt ss15 station from lrt subang jaya station? Thank you. How to go to Sri Kota Specialist Medical Center at Jalan Mohet 41000 Klang from Din Tomyam Kampung Jawa?? 41000 Klang from Din Tomyam Kampung Jawa? Hi, you can take Seranas 702 from Din Tomyam to Little India and walk to Sri Kota Medical Center and KHOO TENG KEAT & CO.
How to go to IN CUBE CUSTOMIZE SDN BHD @ Lot 10478 (D7), Jalan Nenas, Jalan Kampung Jawa, Batu 5, 42450 Klang from Din Tomyam Kampung Jawa?? Hi, you can take 702 from Kampung Jawa to Klang bus terminal, then take 704 to Jalan Meru near Jalan Nenas. How to go to Khoo Wong & Chan (Klang Branch) at No. 5, 1st Floor, Jalan Temoh, 41400, Klang, Selangor from Din Tomyam Kampung Jawa?? Hi, you can take Seranas 702 to Klang bus terminal, then take RapidKL 708 to Khoo Wong and Chan, or you can walk there directly as well. How to go to Intan Millenium Square in Jalan Batai Laut, Klang from Kampung Jawa?? Hi, there is no bus stop around that area to drop you at Intan Millenium. How to go to AMS Management Service at No. B2-12A-2, 2nd Floor, Lorong Batu Nilam 3C, Bandar Bukit Tinggi, 41200, Klang, from Din Tomyam Kampung Jawa or Klang Bus Terminal?? 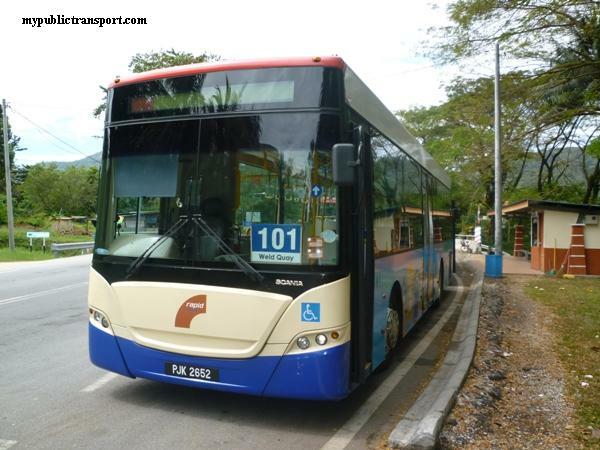 Hi, you can take 702 to Klang bus terminal, then take 730 to Bukit Tinggi. How to go to GCH Retail (M) Sdn Bhd at Jalan Persiaran Sukan, Seksyen 13, 40100 Shah Alam, from Kampung Jawa, Klang?? 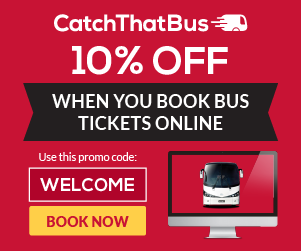 Hi, you can take 702 to Klang bus terminal, then take Seranas 705 to Section 13 Shah Alam. How to go to S.L Ng & Associates at No.41, Jalan Goh Hock Huat, 41400 Klang, from Din Tomyam Kampung Jawa specifically?? Hi, you can take 702 to Klang bus terminal, then take 740 to Jalan Kapar, then walk to Jalan Goh Hock Huat. How to go to FES Equipment Services Sdn Bhd at Lot 9895 Jalan Kampung Jawa Section 35 Shah Alam 40470 Selangor from Batu 1 1/2 Kampung Jawa (Din Tomyam)? Hi, you can take 702, to the direction heading to Sri Muda. How to go to Hong Associates at No. 50A & 52A Jalan Pasar 41400 Klang from Kampung Jawa?? How to go to WT Ng & Co at No. 70 Jalan SS 15/4d, Ss 15, 47500 Subang Jaya from LRT SS15? May I know the exact location of this firm?? And how long will it takes for me to go there by walking from LRT SS15?? 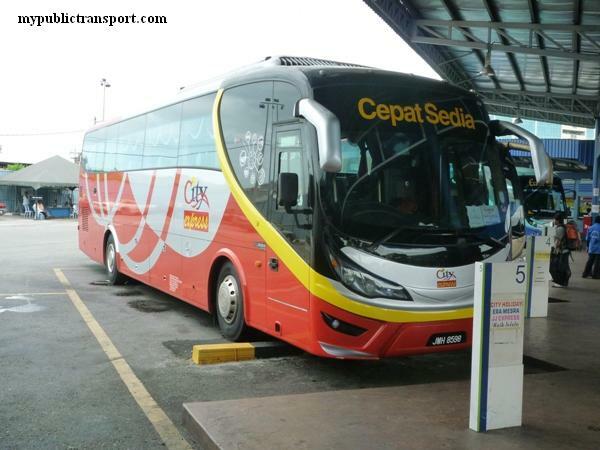 Hi, you can take Seranas 702 to Klang bus terminal, then walk to Jalan Pasar. Jalan SS 15/4d is just right beside SS15 LRT, so it is like 5-10 minutes walk. hi, how can i go to IPG KAMPUS BAHASA MELAYU from TBS? Hi, you can take LRT from Tasek Selatan to Universiti(Transit at Masjid jamek), then you can walk or take T789 to UM, and walk to IPG. It is about 15 minutes walk. How to go to S.E. Tan & Co at No. 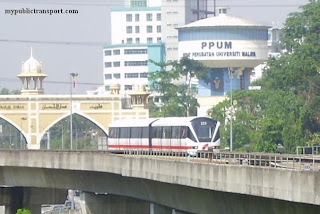 93A, Jalan Pekeliling Lama, 50400, Kuala Lumpur, Wilayah Persekutuan, 50400 from Monorail Titiwangsa?? Can I walk there? Thanks. Hi, yes you can walk there. 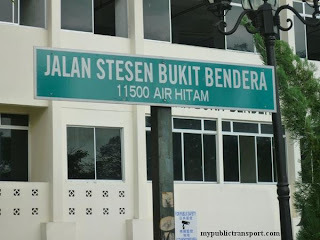 How to go to WISMA 99 at Berkeley Corner by bus from Klang Bus Terminal?? Is there any other way to go there?? Hi, you can take RapidKL 708 and stop at Berkeley roundabout before walking to Wisma 99. Regarding to my latest previous question, how can I go to Klang Bus Terminal from Wisma 99 HQ? Is there a bus? Where can I wait for the bus? Thank you. 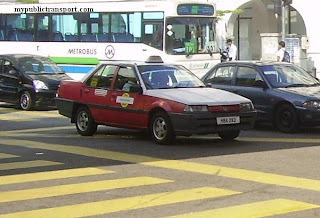 Hi, it is very hard for you to cross the Federal Highway, you need to take uber/grab for this. Is there a bus to go to Menara AIA Jalan Ampang from LRT Dang Wangi?? Thanks. Hi, you can take any bus heading to KL direction, or just walk directly. How long will it takes if I walk from LRT Dang Wangi to Menara AIA?? 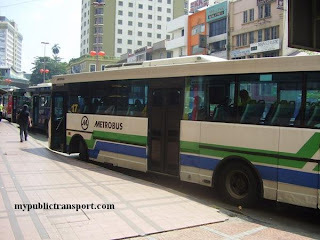 Is there a shuttle/bus to go to Melawati Mall from LRT Sri Rampai?? 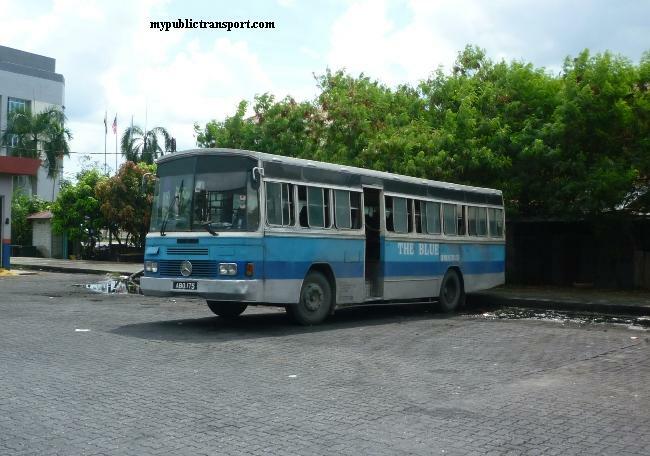 Then what is the number of the shuttle/bus?? Is there a bus to RHB Bank at Jalan SS15/4D from KTM/LRT Subang Jaya station?? 1. 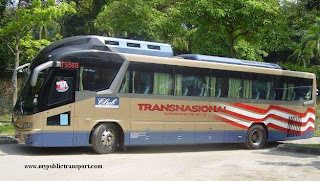 From Sri Rampai, you can take T221 to Melawati Mall. 2. You can take LRT directly to SS15 station and walk to RHB Bank. 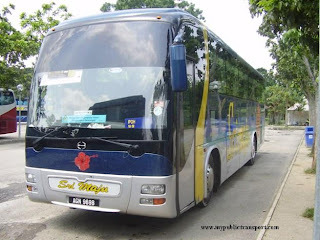 Is there a bus from KTM Jalan Templer to Webe Digital Sdn Bhd at No. 159, Jalan Templer, Seksyen 8, 46050 Petaling Jaya & vice versa?? Is there buses from LRT Asia Jaya AND LRT Taman Jaya to Webe Digital Sdn Bhd & vice versa?? Hi, there is no near bus stop at Webe Digital, you will need to take T640 from Taman Jaya LRT and stop and Jalan Penchala and walk there. How to go to Trinity Top Auto at No. 20-D, Jalan Bukit Kuda, Kawasan 16, 41300 Klang by BUS from Kg.Jawa Klang/from Klang Bus Terminal?? Thanks. Hi, you'll need to walk there directly from Klang bus terminal because there is no bus to Jalan Bukit Kuda. 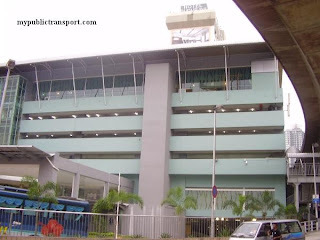 Is there any bus/shuttle to One Utama Shopping Center from MRT Bandar Utama station?? Hi, yes you can take T812. Is there a bus to SUNWAY PYRAMID from KTM SUBANG JAYA?? 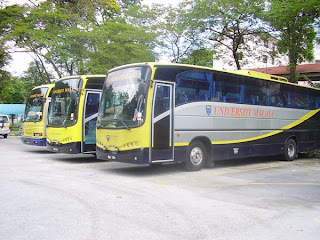 (Selangorku Free Bus/Rapid) and vice versa (bus from sunway pyramid to Ktm Subang Jaya. Hi, you can take 708, 771 or T770. All from Subang Parade). How to go to PERBADANAN PR1MA MALAYSIA at Oasis Square, Blok F, 2, Jalan PJU 1A/7A, Ara Damansara, 47301 Petaling Jaya from LRT ARA DAMANSARA?? 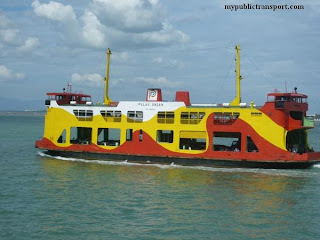 Is there any bus/Selangorku free bus/shuttle service?? Hi, you can take LRT to Lembah Subang and take T782 to Oasis Square. From Ara Damansara it will be T773 but it stop far away from Oasis Square. How to go to The Envictus at Jalan 51a/225, Seksyen 51a, 46100 Petaling Jaya, Selangor from any nearest KTM/LRT station?? Is there bus from the KTM/LRT station? How to go to Zawara Sdn Bhd at NO 13, JALAN PLUMBUM P7/P, SEKSYEN 7,40000 SHAH ALAM from KLANG BUS TERMINAL/KTM BATU TIGA/KTM SHAH ALAM?? How to go to FUBE TECHNOLOGY at 38-3, Jalan PJS 8/6, Dataran Mentari,, Bandar Sunway, 46150 Petaling Jaya, Selangor from KTM Subang Jaya?? Is there there any rapidKL bus or selangorku free bus there?? How to go to Kelana Jaya LRT station from Kelana D'Putra Condominium and vice versa?? Thank you. 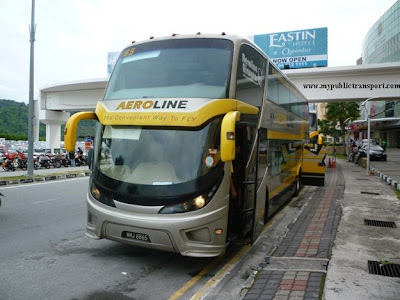 Is there a bus to go to LRT Asia Jaya from Klang Bus Terminal?? Thanks. Hi, you can take T781 from Kelana Jaya LRT to Kelana D Putera. From Klang, you can take 700, 701, 710 to Asia jaya LRT.